Israel is examining ways to expand the scope of the Law of Return, a foundational piece of legislation defining who is a Jew, to entitle millions more people to immigrate. A government committee established last month will determine whether immigration rights should be extended to “groups with ties to the Jewish people”. That would include so-called “lost tribes”, remote communities in India, Latin American and elsewhere that claim their ancestors were once Jewish. The move follows a recent statement from Silvan Shalom, the interior minister and a close ally of Prime Minister Benjamin Netanyahu, that he intended to take “the most liberal policy on immigration there is to bring people from everywhere around the world”. According to experts, a change to the law could mean that more than three million additional people would qualify to come to Israel and receive instant citizenship. The committee’s creation appears to reflect mounting concern among officials that Israel is losing the “numbers battle” against the Palestinians. The issue has become more pressing because Netanyahu is refusing to engage in talks to end the occupation and create a Palestinian state. A leading demographer, Sergio DellaPergola from Hebrew University in Jerusalem, warned recently that Palestinians were now a majority in the area under Israeli rule, comprising Israel and the occupied territories. Israel includes a large minority of 1.5 million Palestinian citizens. Rates of Jewish immigration have stalled for more than a decade, while Palestinians in general continue to have a higher birth rate than Israeli Jews. The Law of Return, passed in 1950, restricts immigration to Israel to those the law defines as Jewish. Currently that is anyone with a Jewish grandparent. They can bring with them a spouse and any offspring, with the family qualifying for a wide range of financial benefits. Historians have noted that the Law of Return and a separate Citizenship Law for non-Jews were crafted to ensure a strong Jewish majority was maintained after the expulsion of 750,000 Palestinians in the 1948 war that established Israel. Jamal Zahalka, an Arab member of the Israeli parliament, accused the government of seeking to further exploit a “racist, undemocratic law”. “The Law of Return was created specifically to allow millions of Jews who have no connection to this land to immigrate and to prevent millions of Palestinian refugees and their descendants from returning to their homes,” he told Middle East Eye. This law is immoral and gives immigrants more rights than the indigenous people. It needs to be cancelled, not changed so that Israel can bring more people here. 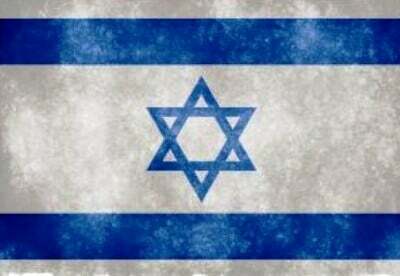 According to official figures, some three million Jews have immigrated so far to Israel under the Law of Return. Ilan Pappe, an Israeli historian and commentator, told MEE Israel hoped that “with proper indoctrination and incentives, non-Jews who are not Arab can be tempted to immigrate and add to the [demographic] balance sheet”. Widening the definition of who counted as a Jew was “yet another means of de-Arabising Palestine – the other side of the ethnic cleansing and dispossession” that occurred in 1948. Senior officials have expressed fears that comparisons with apartheid will increasingly be made if a Jewish minority is seen ruling over a Palestinian majority. The then prime minister Ehud Olmert issued such a warning in 2007. These concerns have been underscored by the fact that several members of Netanyahu’s rightwing coalition are known to favour annexing the West Bank, consolidating Israel’s control over the Palestinians there. Mohammed Zeidan, director of the Human Rights Association in Nazareth, said the government’s rethink on the Law of Return reflected its mounting panic about demography. “It is becoming ever clearer that in the area under Israel’s control an apartheid system operates, one that creates different rights for Jews and Palestinians,” he told MEE. There is an obvious problem with any state claiming to be a democracy when it has to use demography as a tool to justify keeping one community in control of another. In the past Israeli politicians have been wary of changing the law, whose provisions already generate great tension with the country’s Orthodox rabbinical authorities. Orthodox rabbis believe that only those with a Jewish mother should be classified as a Jew – a much narrower definition based on religious tradition. The indications are, however, that the Israeli diaspora ministry, in charge of relations with Jewish communities overseas, is likely to ignore and recommend enlarging the pool of potential immigrants. Zeidan noted that most traditional Jewish communities outside Israel – in the United States, France, Germany and the UK – were thriving and had shown little interest in moving to Israel. Earlier this year, following violent attacks on Jewish communities in Paris and Copenhagen, Netanyahu urged Jews in Europe to move to Israel, claiming it was the only safe place for them. However, indications so far this year are that immigration rates have failed to rise. A new category of “emerging” Jewish communities would give rights to poor and vulnerable communities in developing parts of the world that are more likely to be open to moving to Israel. Rightwing organisations have been lobbying for many years for recognition of “lost tribes,” as well as what are termed “beit anusim,” people whose ancestors were forced to convert to Christianity during the Spanish and Portuguese inquisitions. “There is no demand for well-off Jews to immigrate, so Israel needs to find other, more disadvantaged communities in the hope they can be pressured to come in their place,” said Zeidan. A notable success has been achieved with the Bnei Menashe, a community living in a remote part of north-east India. Although they have no rights under the Law of Return, Netanyahu’s government agreed in 2012 to let them immigrate in large numbers. The Haaretz daily characterised the decision to publicly fund a non-Jewish community’s immigration as “unprecedented”. Shavei Israel, an organisation founded in 2004 that has been lobbying on the Bnei Menashe’s behalf, celebrated the arrival of the 3,000th immigrant from the community in June. There are another 7,000 still in India. Underlining the rightwing agenda of groups like Shavei Israel, many of the new immigrants have been housed in illegal settlements in the West Bank. The latest group of nearly 80 Bnei Menashe were sent to communities in the Golan, Syrian territory Israel has illegally annexed since 1967. Zahalka pointed out that Israel’s immigration minister, Zeev Elkin, who was photographed welcoming the new arrivals, is a settler and has publicly supported annexing all of the West Bank. “The right wants to widen the definition of who is a Jew so that it can move many of these new immigrants into the settlements,” he said. Its goal is a Zionist, one-state solution that forces Palestinians into enclaves, confiscates their land and then passes it on to Jews. To achieve their goal they need to bring more people here to justify stealing yet more land from the Palestinians. According to the Israeli media, there are signs the government may be skewing the committee’s makeup to ensure its decision favours reforming the Law of Return. Dvir Kahana, the diaspora ministry’s director-general, who set up the committee, is a prominent settler. He formerly held a senior post in Elad, a far-right organisation that works to settle Jews in the heart of the large Palestinian neighbourhood of Silwan in East Jerusalem. Kahana has appointed to the panel officials who are likely to support increased immigration as a way to bolster the settlements. The diaspora ministry has declined to respond to inquiries from journalists. But in a statement, Kahana said there was “increasing awareness of large groups of people who are not Jewish by any definition but who have some type of connection to the Jewish people”. He added that this “raises the question of what ties the government should have with them”. Leading the campaign for immigration rights to be extended to “lost tribes” is Shavei Israel’s founder, Michael Freund. He was a senior aide to Netanyahu in the late 1990s. Freund has written that Israel must “think more creatively about how to address the ongoing erosion in the country’s Jewish demographic profile”. Shavei Israel was unavailable for comment. However, its website states: “The Jewish people are currently facing a demographic and spiritual crisis of unprecedented proportions.” It adds that “our numbers are shrinking” and says Israel’s task is “extending a courteous hand to all those who wish to return”. In addition to the Bnei Menashe, Shavei Israel lists other significant communities it hopes to attract to Israel, including ones in Brazil, southern Russia, Poland, China, Peru, Turkey and Africa. Asked by Haaretz whether Freund was advising the committee, the diaspora ministry refused to comment. The ministry’s official invitation to experts to appear before the committee has highlighted the political advantages of recruiting “emerging” Jewish communities. It says such communities could be recruited to help in government hasbara campaigns, or efforts to improve Israel’s image in the world. The committee is expected to announce its findings in six months. The concept of “lost tribes” has proved controversial in Israel. Tests on the Bnei Menashe and other groups supported by Shavei Israel have not found genetic markers indicating Jewish ancestry. Other critics have argued that the search for a so-called “Jewish gene” is in any case misguided and politically driven. That view was supported in 2013 by Eran Elhaik, an Israeli geneticist at John Hopkins School of Public Health in Baltimore, after he examined much of the recent research looking for a Jewish gene. Loosening the definition of who counts as a Jew could be expected to exacerbate existing tensions in Israeli Jewish society. Rabbinical authorities in Israel have refused to recognise as Jews some 350,000 of the one million immigrants who came to Israel in the 1990s following the collapse of the Soviet Union. That has left these immigrants in social limbo because the rabbis exclusively control personal status matters for the Jewish population, including marriage, divorce and burial. Many have been forced to marry abroad to get round the restrictions.